Atlanta Rain is a fictional story about two respected Atlanta lawyers, father and son, who suddenly find themselves the target of public outrage for representing opposing sides of the sensational murder case of State of Georgia v. William (Billy) Hinkler. Prominent Atlanta attorney, Richard Boomer, represents the accused while his son Troy, is assigned by the State of Georgia to prosecute. On the basis of circumstantial evidence, Georgia accuses Billy Hinkler, son of an Atlanta Banker, of kidnapping and murdering young Tommy Perelli. The close relationship between the two lawyers soon gives way to anger and then to estrangement as a result of their fierce competition. In Atlanta Rain you will find several players whose stories further enliven this compelling mystery. You will get to know the lovely Jessica Moreland as she tries to win the staid Richard Boomer while Emily, his wife, tries to understand the sudden change in him. As you read the story, you find yourself in Judge Lamprey's Atlanta court room listening to the lawyers as they argue fine points of law, or conducting your own separate investigation, eager to be the first to solve the cruel murder. Author, Eugene Goss, practiced law in Kentucky and other states spanning a period of more than fifty years. 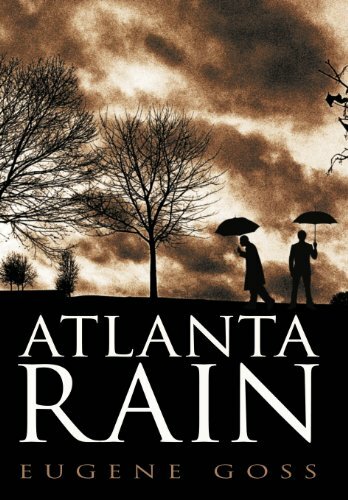 Atlanta Rain grew out of his passion for storytelling and is the second book he has published this year.